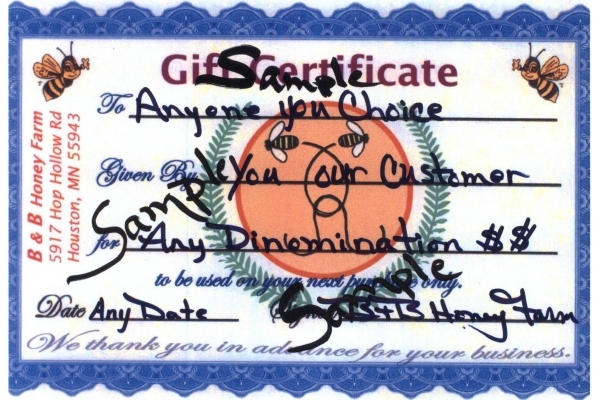 Gift certificates are a great gift for that special beekeeper or beginning Newbee that needs a hand getting started. 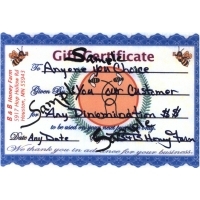 This gift certificate can be used toward anything on our web site or catalog and even those hard to find gift items. Purchased in $5.00 increments and can be made for any amount you choose. Please specify on the order page if you would like the gift certificate sent to someone special and give the pertinant information for us to do so. If you are charged state tax or shipping on this product it will be refunded to you. We will only capture on your credit card the total that the gift certificate is made out for. Colony Quilt 225ft Roll of 18"
Colony Quilt 225ft Roll of 27"